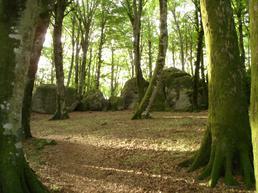 Beautiful beech forest that hosts countless blocks in a fairytale setting. There are about 70 climbing blocks up until now. Access: Take the A1 exit at Orte in the direction of Viterbo, then exit at the entrance to Soriano nel Cimino and follow the signs for Faggeta.